What Makes Coconut Oil So Beneficial? Coconut contains many health benefits and is a nutritious source of meat, milk juice and oil. For generations it has been effectively used to feed, fuel and cure a large percentage of the world's population, especially in the Asian and Pacific countries. Nearly one third of the world's population depends on coconut to some degree for their food and their economy. Wherever the coconut palm grows the people have learned of its importance as an effective medicine. For thousands of years coconut products have held a respected and valuable place in local folk medicine. While coconut possesses many health benefits due to its fiber, vitamins and nutritional content, it is the oil that makes it a truly remarkable food and medicine. Coconut oil differs from other oils because it's rich in medium chain fatty acids that are utilized readily by the body for energy. Most dietary fats and oils you eat, whether they are saturated or unsaturated or are sourced from animals or plants, are composed of long-chain triglycerides. Almost 100% of all the fats we eat are LCT. Now here's the point about coconut oil. It's mostly an MCT fat. Medium-chain triglycerides are exceptionally easy to digest and absorb. They are easily digested and are used by the body as a quick source of energy. But at the same time these fats give your stomach a feeling of fullness allowing you to eat less. Most MCT products are made from coconut oil. Since they are added to infant formulas and health recovery products and athletic products more research is being done on their beneficial effects of late. Kills bacteria that cause ulcers, throatinfections, urinary tract infections, gumdiseaseand cavities, pneumonia, and gonorrhea, and other diseases. Improves digestion andabsorptionof other nutrients including vitamins, minerals, and amino acids. Improves calcium andmagnesiumabsorption and supports the development of strong bones and teeth. Helps to protect the body from harmful free radicals that promote prematureagingand degenerative disease. Is hearthealthy; improves cholesterol ratio reducing risk ofheartdisease. Applied topically helps to form a chemical barrier on the skin to ward ofinfection. Supports the natural chemicalbalanceof the skin. Softensskinand helps relieve dryness and flaking. I've also heard many anecdotal stories of coconut being used externally and internally for pets. Dogs and cats with debilitating skin rashes can be cured within days by applying coconut oil to their skin. If they lick it off, they get more benefits, not side effects as they would with cortisone creams. What kind and how much coconut oil can you take to treat and prevent Alzheimer's and many other health conditions and treat hundreds of symptoms? The dosage used in most Alzheimer's studies is about 5 TBSP per day of extra virgin coconut oil. However 1-3 TBSP is recommended for minor ailments and for maintenance. How do you use coconut oil? You can substitute it in most recipes calling for oil; put it in your smoothie or protein powder drink; or take it straight from the spoon. 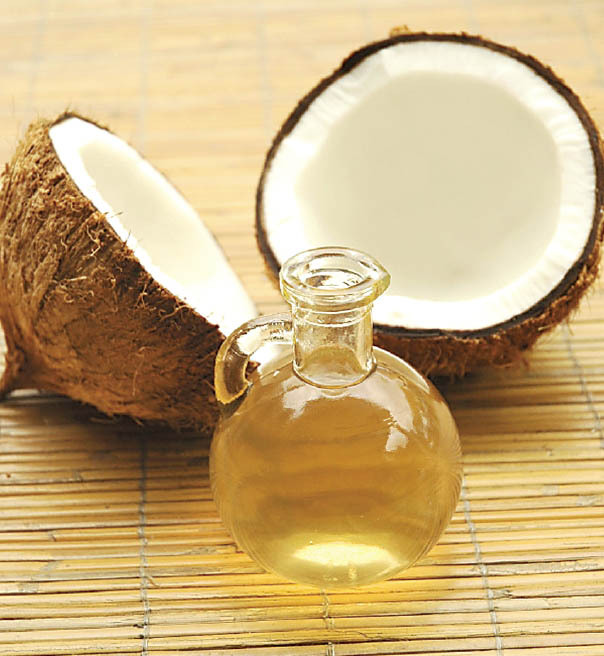 Coconut oil has been in use as hair oil for ages and it has shown remarkable results. Coconut oil is one of the best natural nutrition for hair. It helps in healthy growth of hair providing them a shiny complexion. Regular massage of the head with coconut oil ensures that your scalp is free of dandruff, lice, and lice eggs, even if your scalp is dry. Coconut oil is extensively used in the Indian sub-continent for hair care. It is an excellent conditioner and helps in the re-growth of damaged hair. It also provides the essential proteins required for nourishing damaged hair. It is therefore used as hair care oil and used in manufacturing various conditioners, and dandruff relief creams. Coconut oil is normally applied topically for hair care. Certain components in it keep the hair strong, vitalized, nourished and protected from effects of ageing. Let us see those components and their effects on hair. Vitamin-E: This vitamin keeps your hair and skin healthy, besides keeping your organic system functioning smoothly, as is done by all vitamins. It keeps scalp and skin healthy and hair rejuvenated. If you ever visit coastal parts of India, like West Bengal, Kerala, Coastal Tamil Nadu etc, you will be surprised to see lots and lots of old men and women, in their 70s and 80s, still having thick jet black hair. Thanks to the coastal climate, the rice and fish meal and of course, to the pure coconut oil they use on hair. Certain components in it keep the skin healthy, moistened, vitalized, nourished and protected from effects of ageing. Let us see those components and their effects on skin. Saturated Fats: Predominantly, these are Medium Chain Fatty Acids or Triglycerides. When applied on skin, they keep the skin smooth to touch and also retain the moisture content of the skin, as they check escaping of the moisture through the pores on skin. When ingested, these fats deposit under the skin, thus keeping it healthy. Capric Acid/Caprylic Acid/Lauric Acid: These three fatty acids have strong disinfectant and anti microbial properties. When applied on skin, it protects skin from microbial infections. This microbial action can be experienced even if coconut oil is taken internally, as they boost up the immunity when converted to monocaprins and monolaurins. Coconut oil, for skin, does the same thing what mother's milk does for the body. Vitamin-E: The contributions of vitamin-E towards skin are well known. It is essential for a healthy skin growth, and repair, keeping skin smooth and protection against cracking and above all, it prevents ageing and wrinkling of skin, as it has good antioxidant properties. Stability: Due to its high stability, coconut oil does not go rancid for long. This property can be very beneficial when it is applied on skin externally, since the longer it does not become rancid, the longer any infection due rancidity are avoided (a rancid oil is certainly not a good thing to apply on skin, isn't it?). So, what do you conclude from that? I don't think that your opinion is any different from mine. Coconut Oil certainly has an edge over other oils, when it comes to skin. Coconut Oil is every effective in the treatment of Acne. Its oil is the source of two of the most powerful anti microbial agents found in any food substances. These are Capric Acid and Lauric Acid. They are the same acids that are found in mother's milk and keep the baby protected from infections. When these are applied on skin, some microbes (good ones) present on skin convert these acids into Monocaprin and Monolaurin respectively, thereby replacing the protective acid layer on the skin. So, no microbial infection and no Acne! Not only external application, but internal consumption of coconut oil will give you the same protection, this time internally. Further, coconut oil is a rich source of Vitamin-E. This keeps your skin healthy and ensures proper functioning of sebum glands and clears blockage, thereby treating the very root cause of Acne. Finally, Coconut Oil is soothing on skin and highly penetrating. So, when applied on skin, it is absorbed readily and cuts down inflammation due to Acne to a great extent. It also helps heal any sort of wound on skin due to aggravated cases of Acne. And above all, Coconut Oil improves the rate of metabolism. This also indirectly affects proper secretion and balance of hormones and thus curbs out chances of Acne. Choice of Coconut Oil: To use coconut oil in Acne, you need the very best one. Do not go for the unrefined, crude one, since it may be unhygienic and may contain dust particles. Go for the refined instead. The best choice will be Virgin Coconut Oil for this purpose. It is the all-good and no-bad coconut oil. Finally: Results may vary from person to person, depending upon the skin type, age, profession, life style, eating habits, hygiene, sanitation etc. It should also be remembered that coconut oil is not a cure for Acne. It just aids healing in Acne. But indeed, it is far better than most of those creams and lotions available in market those claim to cure Acne. So, you can give a safe and cheap try by using coconut oil in Acne. Internal use of coconut oil occurs primarily as cooking oil. Coconut oil helps in improving the digestive system and thus prevents various stomach and digestion related problems including irritable bowel syndrome. The saturated fats present in coconut oil have antimicrobial properties and help in dealing with various bacteria, fungi, parasites, etc., that cause indigestion. Coconut oil also helps in absorption of other nutrients such as vitamins, minerals and amino acids. Coconut oil is also very effective against a variety of infections due to its antifungal, antiviral, and antibacterial properties. According to the Coconut Research Center, coconut oil kills viruses that cause influenza, measles, hepatitis, herpes, SARS, etc. It also kills bacteria that cause ulcers, throat infections, urinary tract infections, pneumonia, and gonorrhea, etc. Coconut oil is also effective on fungi and yeast that cause candidiasis, ringworm, athlete's foot, thrush, diaper rash, etc. Fatigue: The saturated fats present in coconut oil, being great source of energy, effectively cure fatigue and energy malnutrition. Oxidation/Ageing: The antioxidizing properties of coconut oil come from its saturated fats like Capric Acid, Caprylic Acid, Caproic Acid and Myristic Acid. They counter adverse effects of ageing, macular degeneration, whitening of hair, sagging of skin etc. Candida: The anti microbial properties of coconut oil have been found effective against Candida. Vermifuge: Coconut oil can be used against intestinal round worms, tape worms etc. Liver: The presence of medium chain triglycerides and fatty acids helps in preventing liver diseases as these substances are easily converted into energy when they reach the liver, thus reducing work load on the liver and also preventing accumulation of fat. Other Properties: Coconut Oil is found to help absorption of fat soluble vitamins, glucose etc. in the body, aids proper secretion of insulin, improves circulation and fight tumors, colitis, ulcers in stomach and food pipe, renal infections, reduce inflammations due to rashes or contact with foreign substances. It is also very effective in curing and relieving bruises and small cuts. Finally, coconut oil is often preferred by athletes and by those who are dieting. The reason behind this being that coconut oil contains lesser calories than other oils, its fat content is easily converted into energy and it does not lead to accumulation of fat in the heart and arteries. Coconut oil helps in boosting energy and endurance, and enhances the performance of athletes.